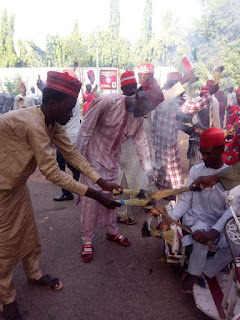 Buhari overwhelmingly sweeps 32 LGAs in Kano as Atiku struggles for 25% of the votes. The following are results of the presidential election submitted to the Kano State Collation Officer. ABIA STATE chapter of the People's Democratic Party has again cancelled it's Political Rally earlier SCHEDULED to hold on Monday 24th September. According to the Release by its publicity SECRETARIAT, the Cancellation was necessitated due to changes in the National Program of the Party. The Party wishes to apologise to it's supporters for any inconvenience the cancellation would cause them. PDP! POWER TO THE PEOPLE!!! 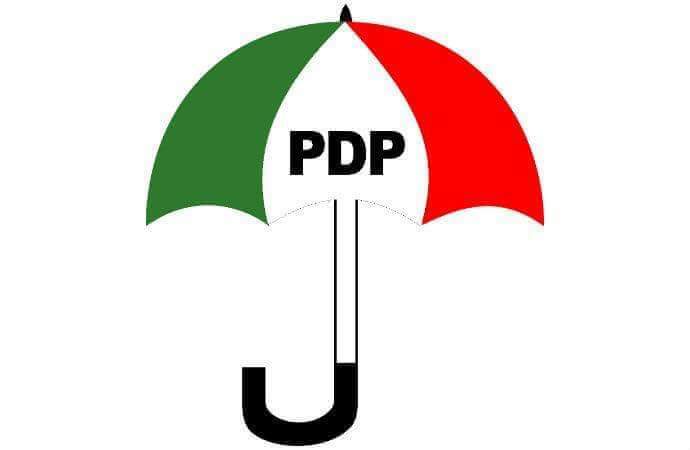 The State Chairman of Peoples Democratic Party (PDP), Sir Johnson Onuigbo, wishes to announce the postponement of the Abia PDP Mega Rally earlier scheduled to hold on Monday 24th of September, 2018, at Michael Okpara Square Events Center due to changes in the National Political Programme of the Party. The Chairman regrets any inconveniences arising from the postponement. 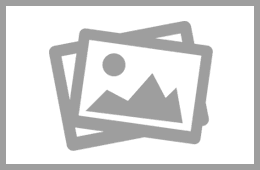 Acting Publicity Secretary, PDP Abia State. More than 150 members of All Progressives Congress (APC), in Abam Onyerubi in Arochukwu have decamped to the Peoples Democratic Party (PDP) in Abia State. Speaking while receiving the new members to the PDP family, the party Chairman in Arochukwu Local Government Area (LGA), Honourable Anthony Nwankwo said that the PDP has the interest of the people at heart and assured that the party would regain power at the centre in 2019 general election. Hon. 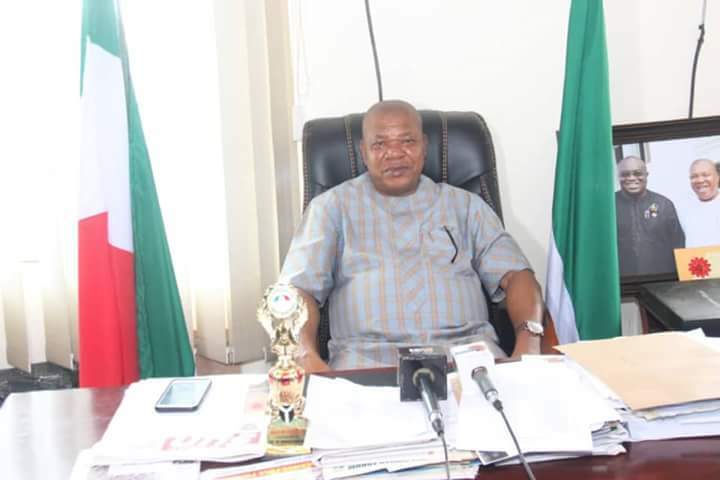 Nwankwo congratulated the decampees for joining the PDP and extolled the doggedness of Special Assistant to the Governor on Grassroot Mobilization, Mr Ogbonnaya Nwosu for assuring that the people returned to the party. He charged them to work hard for the growth of PDP and to make sure they obtain their PVCs in other to work massively for the reelection of Governor Okezie Ikpeazu, Senator Mao Ohuabunwa and all other PDP candidates that will emerged through free and fair primaries. He therefore asked the new members not to regard themselves as new members rather they should see themselves as stakeholders of the party. Speaking earlier, the Special Assistant to the Governor on Grassroot Mobilization, Mr Ogbonnaya Nwosu, PDP Ward 7 member, Chief Emmanuel Okorie and Isaiah Okorie advised the decampees to remain steadfast in the PDP and mobilise support on the future ambition of Dr Okezie Ikpeazu while assuring them that the party in Arochukwu would accommodate all. Speaking on behalf of other defectors, Mr Kalu Amuzie and Mrs Esther Isaiah said that they left APC because they realized that APC has no vision for Nigerians and that APC has only brought sufferings, hardship and impunity of the highest order to Nigerians since they where elected, they promised to mobilize and work massively for the victory of the PDP in this general election and beyond. They reiterated their decision to join the PDP for the giant stride in development of infrastructure of Governor Okezie Ikpeazu and vowed to remain loyal to the party. Highlights of the event was the issuance of PDP membership cards to over 150 new members by the chairman and the ceremony was attended by Hon. 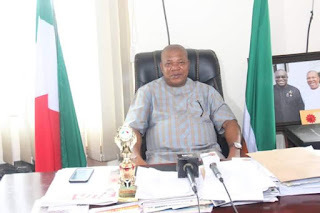 Anthony Nwankwo, PDP chairman of Arochukwu LGA, Hon. Ogbonnaya Nwosu, SA to the Governor on Grassroots mobilization, Hon. Engr. Igwe Ezelu, Publicity Secretary of PDP, Arochukwu, all the Ward Chairmen from Abam and their executives. Adams Oshiomhole, national chairman of the All Progressives Congress (APC), wants Yakubu Dogara removed as speaker of the house of representatives. A source told TheCable that Oshiomhole has been meeting with party members, particularly lawmakers in the lower legislative chamber, in a bid to remove Dogara. The source said the APC chairman intensified efforts to oust the speaker after news broke that he would seek reelection on the platform of the Peoples Democratic Party (PDP). 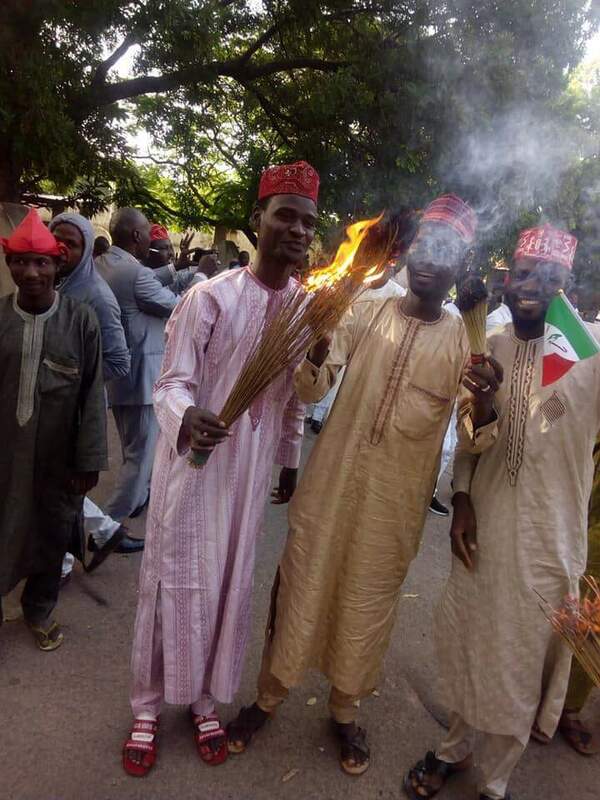 Some constituents of Dogara presented PDP nomination form to him on Thursday and urged him to leave the APC. Dogara has not publicly announced his defection from the ruling party though he has not been participating in its activities. He was absent at last month national executive committee meeting of the APC in Abuja. 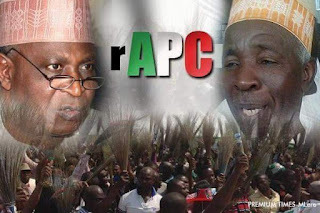 During the Bauchi south senatorial district bye-election, the PDP won in Bogoro local government area of the state where the speaker hails from. The nation’s number four citizen told his supporters on Thursday that he was asked to beg for the ticket of APC. After Senate President Bukola Saraki left the APC, Oshiomhole moved against him, asking him to either resign or be removed. Another source told TheCable that the party appears divided over the move to remove the speaker. “Ever since the news of Dogara’s defection, Adams Oshiomhole has been meeting with representatives and top APC chieftains to see how they can impeach Dogara,” the source said. “But they are at an impasse now, because some of them are saying that there will be chaos if they attempt to impeach Saraki at the same time. 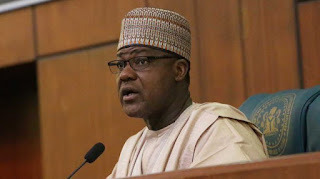 Reacting to reports of Dogara’s planned exit on Thursday, Yekini Nabena, acting spokesman of the APC, said the speaker’s political future is bleak. Simon Egbebulem, spokesman of Oshiomhole, neither answered calls nor replied a text message sent to him on the allegation. 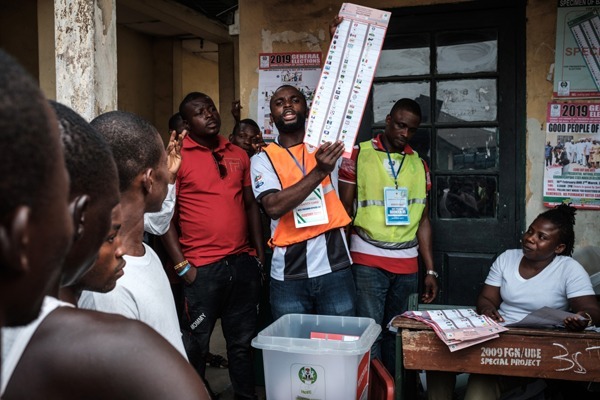 The crisis currently rocking the ruling All Progressives Congress, APC, in Lagos has seen the party lose as much as 1000 members to the opposition, Peoples’ Democratic Party, PDP. The defecting members are from Ajeromi Ifelodun Local Government Area of the State. This development is coming in the wake of the alleged rift between an APC national leader, Bola Ahmed Tinubu and Governor of Lagos, Akinwunmi Ambode. Tinubu is believed to be against Ambode’s Second term as he is supporting another candidate to take the governorship seat in Lagos. The defectors were received by the member representing Ajeromi/Ifelodun Federal Constituency at the House of Representatives, Hon. Rita Odichimma Orji. While receiving the defectors at the playground of Saint Mary’s Catholic Church, Ajegunle, the lawmaker assured them of full integration into the activities of the PDP. She commended them for the courageous decision in leaving the APC. 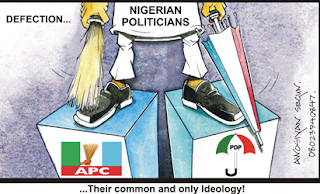 “The party has failed to deliver on its promises to Nigerians. It is clear, beyond any reasonable doubt that since the inception of the APC-led administration, the nation has continued to grapple with loads of socio-economic and political problems,” Hon. Rita declared. In her remarks, Mrs. Maina, a member of the PDP Board of Trustees (BoT), charged the defectors to be loyal to the party and to work in synergy with other members to ensure the victory of the party in coming elections. Senate President Bukola Saraki resigns membership of APC. NAMES OF SEVEN PDP SENATORS SET TO DECAMP TO APC TODAY..
FORMER Senate Majority Leader, Senator Muhammed Ndume (APC, Borno South), has said he was fully aware of seven senators elected on the platform of Peoples Democratic Party, PDP, that have concluded arrangements to dump the party for the ruling All Progressives Congress, APC. Speaking exclusively with #Vanguard, Ndume, who noted that PDP was dead and a taboo in Nigeria, said following strong political maneuvering and discussions still on-going, information reaching him showed that at least seven of the PDP senators would defect to APCsoon. Ndume noted that the defection of some of the APC senators to the PDP had consolidated the ruling party. He said: “The defection of our colleagues made us to consolidate ourselves. Before we were scattered, we had some of us that are following Saraki and those that are following Saraki neck deep have been posted to PDP by Saraki. “Now, we have senators who Saraki was thinking he had in his pocket, not knowing they were following him maybe for personal reasonsor the like, but when he said we are leaving the party, they said no we are APC and we are still standing with our party. “Now we know that we have a confirmed simple majority that we would be able to do whatever we want to do in that Senate. If it is going to be voting, we can write people’s name and even say 52 senators are of APC who are in support of whatever Mr President wants. Also speaking on the failed attempt to remove Senate President, Dr. Bukola Saraki, and his deputy, Senator Ike Ekweremadu, following the siege on their residence by the Police, personnel of Department of State Services, DSS, and Economic and Financial Crimes Commission, EFCC, Senator Ndume said there was nothing like planned coup to remove anybody. But in a swift reaction, PDP senators said it was blatant lie that their members were planning to leave the party for APC. According to them, it is not possible and it will not be true that PDP senators will leave the comfort zone they are at the moment to a sinking ship. The Peoples Democratic Party and the Social Democratic Party have described President Muhammadu Buhari as a common enemy of Nigerians . The spokespersons for both parties stated this at the PDP national secretariat in Abuja on Wednesday . They spoke when the National Publicity Secretary of the SDP, Princess Goldba Tolofari , paid a courtesy visit to her counterpart in the PDP , Mr Kola Ologbondiyan . Tolofari , who said she brought greetings from the SDP Chairman , Chief Olu Falae , added that when Nigerians brought Buhari into power , they thought they were bringing in a messiah that would rescue the nation . She added , “They are not democrats , that is why things are deteriorating and we cannot watch and see things going the way they are. She commended Ologbondiyan for giving a voice to alternative views which she said that the Federal Government would rather muffle . Ologbondiyan , on his part, said that it was for the purpose of pushing the government of President Buhari out of power that a Memorandum of Understanding was signed with the SDP and 37 other parties. He said , “You have said that the problem of Nigeria today is Buhari and we are joining together to push him out . The bloodletting is becoming too much. 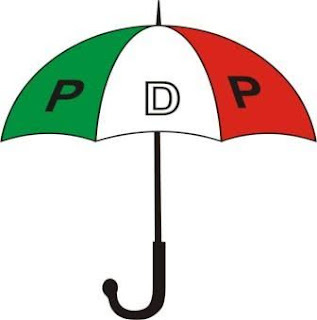 The PDP spokesman said that the rescue mission was already on , adding that the result was the mass defection of lawmakers from the All Progressives Congress to the PDP at the National Assembly on Tuesday . He pointed out that President Buhari had failed Nigerians and couldn ’t fight Boko Haram , corruption and other vices besieging the nation , adding that the President’ s body language encouraged corruption . But the Presidency has described the claim by the PDP and SDP that Buhari is Nigeria ’s common enemy as the most hilarious accusation against the President . The Senior Special Assistant to the President on Media and Publicity , Garba Shehu, said this in an interview with one of our correspondents . Shehu described Buhari as the noblest person to preside over Nigeria since independence . The presidential spokesman said , “This is by far the most hilarious accusation against our President . “President Buhari is the noblest person to lead Nigeria since independence . ABUJA-The Majority Leader of the House of Representatives, Hon. Femi Gbajabiamila and other members of the All Progressives Congress, APC on Tuesday fought with their emotions over the departure of 36 members of their party to other political parties. 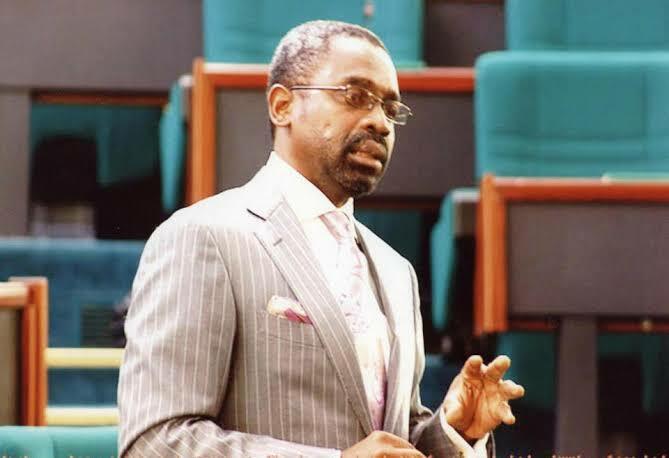 Gbajabiamila had always, prior to now, basked in the euphoria of welcoming defectors from other political parties especially the Peoples Democratic Party, PDP without citing any court judgments or relevant sections of the constitution to that effect. But after losing 37 members, four of whom from Oyo State went to ADC, 33 for PDP while one person precisely, Hon. Emmanuel Oker-Jev from Benue State resigned his APC membership but yet to announce a new party, Gbajabiamila stormed the House of Representatives Press Center with his colleagues to express his disappointment. But he wouldn’t entertain any questions as he and his team exited the centre immediately, shouting “no questions”. He said: “Ladies and gentlemen, we the members of APC caucus in the House of Representatives are here to address you and the nation at large on what transpired on the floor of the House today wherein several members of the party left and moved to different parties. “Let me say that it is always sad when you lose even one member. Those members were part of the family. Let me say very quickly, they are also welcome back at any point in time, when they realize the errors in their ways. Let me also commend the remaining members of APC in the House who have remained steadfast, committed to the party. For me, that is what politics is all about particularly representative democracy where people elect you on a particular platform for a particular reason. “We are all aware of the Supreme court in Amaechi’s case where the supreme court said and made it abundantly clear that in Nigeria today, it is not the person that is elected but the party that people elect. We try to build politics of ideology in this country and that why I commend our members who have remained committed to the ideology of this party. If the ideology was entrenched, we will not see people cross carpeting the way we see it in Nigeria today. In advanced democracies, hardly do you hear about such a thing. So, I commend our members for remaining steadfast, committed to the party. “Addressing the issue raised on the floor about the legality of the cross over, I think section 68 has addressed this issue. Members on the floor from both sides of the isle tried to interpret the session the way it suits them. But unfortunately, that session has already been interpreted by the Supreme Court of Nigeria. “The meaning of division had been clearly stated by the Supreme court and the so-called R-APC that we kept on hearing today does not fall within the interpretation of the Supreme court. Therefore, we will be encouraging the party to take the necessary steps not because we are against our members but so that we van continue to entrench the democracy. “When people elect you on a particular platform to represent them, that seat does not belong to you. That seat belongs to your constituency. So, it is important that this position is stated clearly and that we put it to rest. “I want to say that in spite of the movement of about 36 members, 4 of whom went to ADC in Oyo State and the remainder 32 to PDP, and one resignation thereafter without a party yet, I want to say that not only does APC remains majority in the House, APC is actually in clear, overwhelming majority. I want to believe that those who wanted to defect were looking for about 60 members and they got half which leaves the APC over and beyond what is required for majority. “Let me on behalf of my members also congratulate Mr President, the party chairman. Party leaders for remaining committed to the welfare of this country. “I want to say again that we will continue to do the bidding of the people. Every four years, we witness this. They say survival is the first instinct of every human being, so every four-year, everybody is in search of a ticket. I believe that is the bottom line here and that is very unfortunate. BREAKING NEWS: SARAKI, 20 APC SENATORS DECAMPS TO PDP.. SEE FULL LIST. 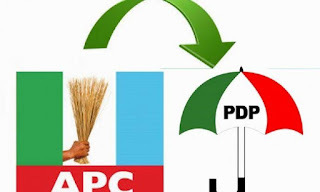 Fifteen senators from the ruling All Progressives Congress have announced their defection from the ruling party to Peoples Democratic Party and other political parties. SP Saraki reads at plenary. The following Senators have announced their defection from APC to PDP, this was read in a letter sent to the President of the Senate, Dr. Abubakar Bukola Saraki. II. NEC considered and approved the expulsion of Senator Kashamu Buruji, Mr. Samiu Sodipo, Engr. Bayo Adebayo and Hon. Segun Seriki from the PDP. The expelled members are from the Ogun State Chapter of the PDP. III. As a law abiding Party, NEC endorsed the decision of the Ekiti State PDP to challenge the outcome of the just concluded Guber Election at the Tribunal/Court, with a view to reclaiming the mandate of the Party which was stolen by the failed and dysfunctional All Progressive Congress (APC)at the election. The immediate past Deputy National Publicity Secretary of the ruling All Progressives Congress (APC) Comrade Timi Frank, has said that the promises of oil well and automatic tickets to some leaders of rAPC by the presidency won’t stop their planned defection in a matter of days. He, however, declared that about five governors, 30 serving Senators and 135 House of Representatives members will all dump APC in a matter of days, assuring that there is no going back in their plan to stand by Nigerians who have asked them to leave. He added that the move to retain the support of rAPC members and leaders by the presidency was coming too late, wondering what has changed if the party could not fulfil it promises in the last three years. According to Frank, all the latest moves by President Muhammadu Buhari and the leadership of APC to persuade the leaders of rAPC are all efforts in futility. “The same people that could not respect the agreement we had in the last three years are now begging, promising heaven and earth to our leaders. In deception, they have failed to realise that Nigerians now know their true colour. They are much talked about integrity is a delusion, they are wolfs in sheep’s clothing. “Our plan to reject them and their party is not for personal gain. It is primarily to team up with real progressive group to rescue the country from the current handlers who rejoice when Nigerians are killed in their number, who value lives of cows to Nigerians and religiously persecute opposition members in the name of fighting corruption. While calling on the leaders of rAPC not to give in to presure, the Bayelsa born politician warned that supporting re-election bid of President Buhari is as good as giving consent to be arbitrarily jailed in nearest future. R-APC made 7 demands ahead of crucial anti-defection meeting with Buhari. 7. Stopping of all legal actions against members of the R-APC who are currently standing trial. R-APC BLAST BUHARI, OSHIOMHOLE, SAYS: WE THOUGHT YOU CALLED US NAMES? WHY ARE YOU BEGGING US NOW? "We members of the R-APC find it very amusing that those who boasted that they won’t lose sleep over our altruistic action, have been hopping from door to door pleading with our members not to leave by dangling juicy carrots and promising them heaven and earth. Such level of double standard is the reason why the R-APC was birthed in the first place because the leadership is not one that keeps promises and it’s the reason why no one should take the APC serious. It is interesting to suddenly see Mr. President holding meetings with the Senate President, Dr. Bukola Saraki, reportedly promising mouth-watering offers; the same leader who was ridiculed, scandalised, demonised, criminalised and called all sorts of names by agents of the presidency just to give the Senate President a bad name in order to hang him. As soon as the Supreme Court gave a resounding verdict on the trumped up and frivolous charges against the Senate President, Mr. President suddenly felt a need to praise the judiciary for standing on its own. Hmm, power as they truly say, must be a crazy aphrodisiac. Never a time has the number 3 (three) citizen of Nigeria been so dehumanized, criminalised and disgraced in such whimsical manner while all the present reconciliators kept conspiratorial silence, waiting for the sledge hammer to fall on the Senate President. They tried all tricks, mounted all manner of pressures, raised all dubious allegations, just to nail the Senate President. They were short of calling him a promoter of armed robbery; they linked his name to the Offa Robbery and improvised all biles to rubbish the institution of the Legislature. They stripped him naked in the marketplace and now desperately trying to bath him with ornaments in the inner fortress of Aso Rock. The Chairman of the Code of Conduct displayed magisterial arrogance in prosecuting the Senate President, but all that fell by the wayside as the Supreme Court gave one of its landmark judgments in recent time by giving him a clean bill of health. Pronto, all the political conspirators in the APC swoop into dubious reconciliation assignment, hopping from door to door at the thick of the night to strike deals of reconciliation. Those who said they won’t lose sleep over the R-APC, have become sleepless in the last two weeks. Does anyone need to be reminded that caveat emptor should be the operative words? Those who pleaded in the past, short of kneeling before their subordinates, ended up in the political belly of their benefactors when the re-election was concluded. It is an albatross that some people are still carrying till date. Examples abound in this our democracy and it is ringing bell in our consciousness every now and then. This government is never a promise keeper and some of the promises contained in the manifestos of the APC have been jettisoned. The president who has held himself in the inner sanctuary of the Presidential Villa is all of a sudden, opening his doors to one meeting or the other all in the name of re-election. Just to make the point that it is too late in the day. The train has left the station. Leopards cannot change their spots no matter how much one tries to tame them. We enjoin all our members to remain steadfast and resolute in defending their rights and taking the appropriate action in defence of democracy. This democracy must survive on ethical grounds and not on lawlessness and exclusion. It must provide a level playing grounds for all participants. Those who prevented some persons from visiting their states in the name of politics, have suddenly realised that they need the services and support of those persons. They are now pleading, ready to submit to all demands. Who does not know that won’t work because examples have shown that political agreements are often observed in the breach. 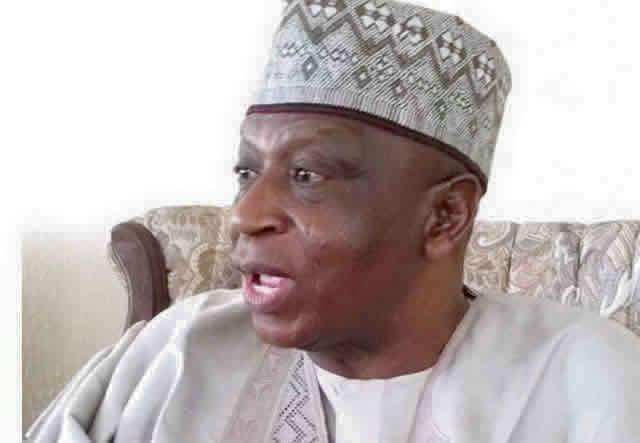 No Offer Can Appease Saraki’ s Embarrassment – Baraje. 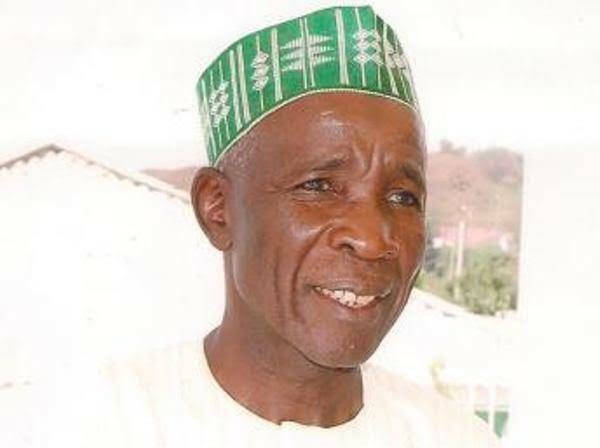 The leader of the defunct new PDP , Alhaji Kawu Baraje , said there was no offer from President Muhammadu Buhari to Saraki that could atone for what he called the embarrassment Saraki allegedly suffered in the last three years. In an interview with one of our correspondents in Ilorin, the Kwara State capital, on Saturday , Baraje stated that though Saraki was an experienced politician, his loyalists and supporters in Kwara State had taken a decision that with or without Saraki , they no longer wanted to continue being members of the APC . 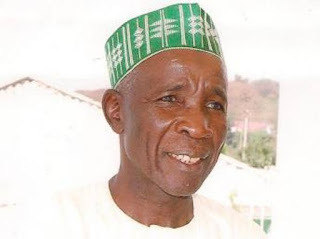 Baraje said, “I am not concerned with the offer reportedly made by the Presidency to the Senate President . I do not see how that concerns me. As far as I am concerned and as far as our supporters and followers are concerned, they have taken a decision . “If the Senate President is going to waiver, all well and good . The followers have indicated that with or without him , they are going out of APC . So , it is left for him to take a decision . Also , the R - APC expressed confidence that attempts by the Buhari - led administration to use the “carrot and stick” approach to break its ranks would fail. The National Publicity Secretary of the R -APC , Kassim Afegbua , in a telephone interview with SUNDAY PUNCH , in Abuja, on Saturday , said the R - APC was committed to the Memorandum of Understanding it signed with other opposition parties . He added that “no amount of carrots ” dangled by the Buhari - led administration would derail the process . Speaking about offers allegedly made by the President to Saraki , Afegbua urged the Senate President not to fall for what he described as a booby trap. Afegbua said, “Why does the President now feel it is important to play politics ? Since when did he begin to consider Saraki as important ? Where was he when Saraki was being humiliated? “Does he now think that by taking such a man into the inner sanctuary of Aso Rock, he has done a great thing ?